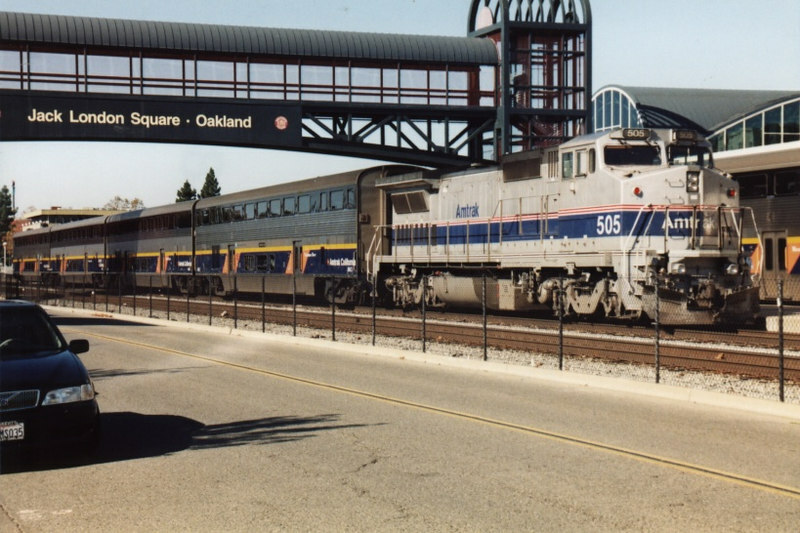 An Amtrak San Joaquin train led by a P32 sits at the platform awaiting its next assignment. I would have tried to get a different angle (stand in the street?) to avoid getting the car in the shot. Otherwise, it's very nice as you have both the sign and the train. I'd also suggest panning up a bit so you don't chop off the tower at the top right and have less empty space at the bottom.